I love the energy around the new year. The beginning and the end all at the same time. I like taking time to look back on the year that is ending while anticipating the year ahead. Last year I started a tradition of asking the Lord for one word to function as a sort of theme for the coming year. 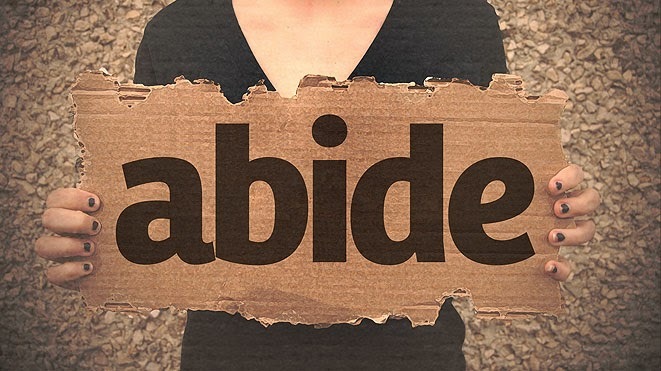 My word for 2014 was "Abide." Looking back on the year, I love how this word was interwoven in every part of my life. It has been quite clear that the Lord has brought me into a season of rest. I am rather enjoying (mostly) the adventure of discovering what resting actually means and looks like in my journey. The more I think on it, I am learning that rest does not equate to becoming stagnant, but rather involves continuing to move forward in a changing understanding, being renewed each step of the way. This is where Holy Spirit keeps whispering to me: "Abide." In John 15 Jesus lays out a beautiful picture of abiding. Verse 3 says, "You are already clean because of the word I have spoken to you." What?! Wow!! This verse is directly followed by, "Abide in me, and I in you. As the branch cannot bear fruit by itself, unless it abides in the vine, neither can you, unless you abide in me." This is where life and growth take place. This is where the unconditional love and acceptance of Father God is realized. This is where healing and victory flow. And none of this is of myself; on my own I cannot survive - apart from the vine I am dead. And so I choose to abide because Jesus decided to abide in me. 2014 was full of beautiful opportunities to rest and abide. I can't say that I was exactly graceful in all of these opportunities, but I am thankful for the patience and grace I was offered in every one of them - from the Lord Himself as well as from the people around me that I am blessed to have in my life. Closing out last year, I spent some time answering a list of "50 Questions to Help You Reflect, Appreciate, and Get Excited for 2015." This was a fantastic exercise that I am adding to my New Year's tradition. It was fun to take a good long look at all that I have to be thankful for from the previous year and it was exciting to take that reflection and look forward into what I want for the year to come. When I first heard Holy Spirit whisper this word to me, I kind of brushed it off as if I hadn't heard properly. What could be more self-absorbed or conceited, right? 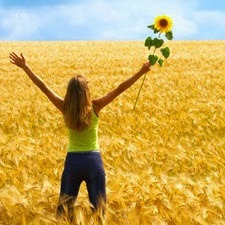 But when I considered what I wanted for the coming year, I kept coming back to that word: Abundance. In 2015 I will turn 30. I have done a lot of living already and I love my life! That being said, I know that there is still a lot of life ahead of me and I want to live it to the fullest. Which is when I remembered what Jesus said in John 10 - "The thief comes only to steal and kill and destroy. I came that they may have life and have it abundantly." And then I wanted no other word for the coming year! I want all that the Lord has in store for me - the blessings, the suffering, the challenges, the joy... the abundance. My faith is "yes" to the increase that the Lord is bringing for me, for my marriage, for my children, for my relationships, for my community, for my love, for my understanding, for my capacity to love. Perhaps this is a risky way to hurdle into the new year, but I'm all in. I want nothing but Jesus; I will follow Him wherever He leads and do whatever He asks. There is nothing I want more than His presence; without Jesus I am absolutely nothing. He is my everything. He is abundance. How about you? 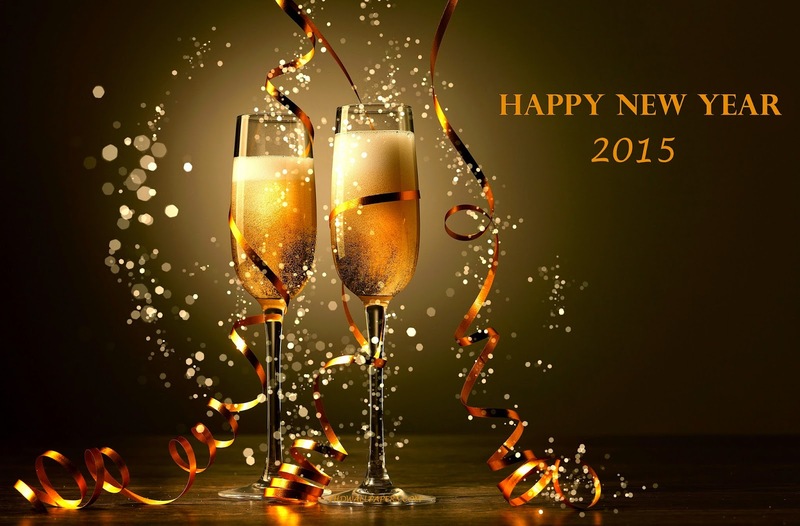 What are your traditions when welcoming a new year? What one word might you focus on for 2015?